And so you are saying that following these instructions is as easy as it appears? As to which photo sharing site is "best", they all have their difficulties. Flickr seems to offer a lot of options and is fairly painless once you know the steps. I've used photobucket forever, but every year they seem to make it more difficult to use. Here's the basics for Flickr. Click on the "Share photo" link. Copy and paste the entire bbcode and it should work. To make for faster loading of the embedded image on BigBendChat, chose the 640 width option. Note that if you are trying to share someone else's photo, they have to have the privacy settings set to public (or something like that). If they don't, then you can click the "Download this photo" link and copy the link to the file. 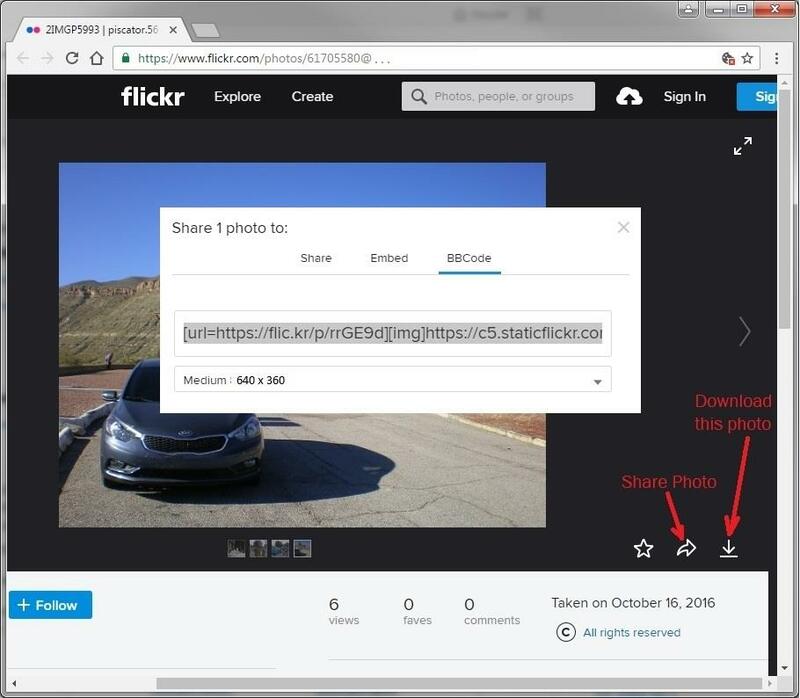 This is also useful if you don't want to share the photo album location and/or Flickr username. Yeah...hot-linking doesn't allow the host company to throw ads at the viewer. Understandable, because bandwidth=money. The do need to pay the bills, but annoying nonetheless. For less $$ than they are asking for the "upgrade", one could deploy a hosted web account. Photobucket is currently not letting me even view my own photos when logging in to their site.